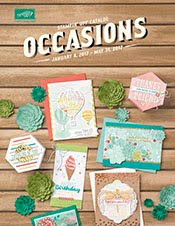 This is a card we made in the last class I had where all the cards were inspired by the Spring Catalog. 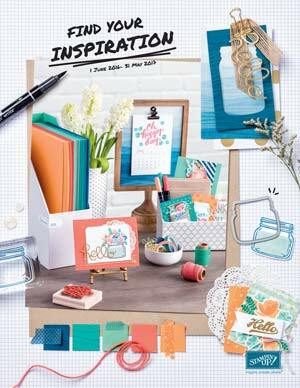 This card inspiration comes from how a kraft box on page 27 is decorated. I also used the embossing tip from yesterday's post on this card to get the crossstitch embossing on the card. I first attached half a Tea Lace Paper Doilie to a strip of Tea for Two dsp and adhered them in place on the Crumb Cake card stock. Then positioned the Needlepoint Border embossing folder so it was next to the dsp. Used a paint stir stick just over the center of the embossing folder in place of the top cutting pad. To help the "stitches" to stand out a bit I lightly sponged Crumb Cake ink over them.